This sounds amazing and you’ve saved me! As the only vegan, I was going to make do with all the veggie sides as the other recipes seemed too complicated for just me. I can’t wait to try this! One question, though: is it possible to post a picture of what you did with the foil and parchment? I am having a hard time following it. Thanks! Yes, give me a few minutes to take a photo and I’ll attach a link to it here. Lisa, I added a photo to try to explain the layout of the foil and parchment. Click on it to enlarge it and let me know if it still isn’t clear. Looks yummy Susan! If I could have conventional wheat I’d be all over this one. Really love the notion of leftovers in sandwiches too. Happy Thanksgiving to you all! And thanks for your wonderful work here in FatFreeVegan. I’m confused about Step 5 in the Mushroom Seitan Roast recipe. Does the roast go into the oven wrapped in parchment paper and two pieces of aluminum foil? Thank you. Yes. I just added a series of photos to illustrate what I mean. Click on it to enlarge it and see if it makes things clearer. Thanks so much! The pictures definitely helped! So the parchment goes under the foil? I can’t wait to make this! I wonder if they’ll realize there are mushrooms in there…??? Sneaky sneaky thanksgiving! The parchment goes on top of the foil to keep your seitan from coming into contact with the foil. Some people don’t want their food to touch aluminum. Of course, if that doesn’t bother you, you could probably skip the parchment paper, but I think it helps prevent sticking and gives another layer of insulation. Also I just read your ” impossible” pie recipe. Do you think it would work with canned pumpkin? How much would you use? I’m do excited to cook thanksgiving this year. Thanks for all the great advice. Yes, you can use canned pumpkin. Just use the amount of pumpkin that the recipe calls for. Hope you enjoy your Thanksgiving feast! happy thanksgiving Susan – this looks like a marvellous loaf – I am not so keen on seitan but the mushrooms and oats make it sound more my sort of thing – and I do love a good festive feast – but I have never had a thanksgiving feast. Oh, this looks so good and I am going to make it! Your recipes always are fantastic! Do you think it would be possible to prepare this and then hold it in the fridge a few days before baking? Or to bake it and then reheat in the oven before serving? I am trying to make as much as I can in advance of the big day. Thanks! I would bake it and then reheat it later. Just make sure you store it very tightly sealed–maybe keep it wrapped up and put it in an airtight container. When you reheat it, use a low temp and keep it tightly wrapped so that it doesn’t dry out. Thanks for this prompt response; I just mixed it up, and thought to bake on Thursday, but now it goes in the oven; Very easy recipe. Hi Susan, am planning your roast for Christmas, can it be made, cooked and frozen – then thawed and reheated? Love your recipes, thanks so much! I am keen to find out about freezing too reheating too please!! Great roundup! Everything sounds delicious! 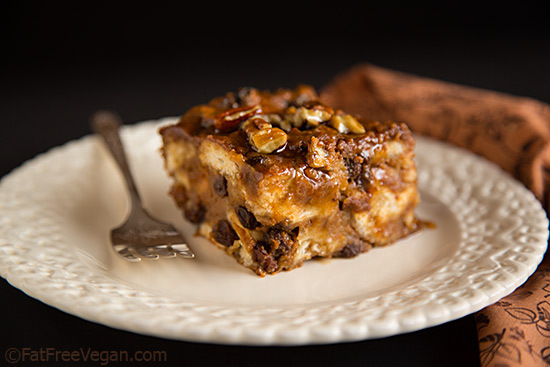 I’m not vegan but love to incorporate vegan components, especially in typically meat-heavy holiday meals. I’m going to make this!!! We just had a ‘dress rehearsal’ dinner for Thanksgiving too. I tried out a Field Roast 1 lb. celebration roast, stuffed with butternut squash etc. It was good, though fairly whopping in sodium (710 per serving, I think). I was just now dithering between getting another, larger, Field Roast or making your other seitan stuffed with walnuts, cranberries and mushrooms. Obviously my fatfreevegan fairy must have heard me over the internet, and I just opened your latest mail! 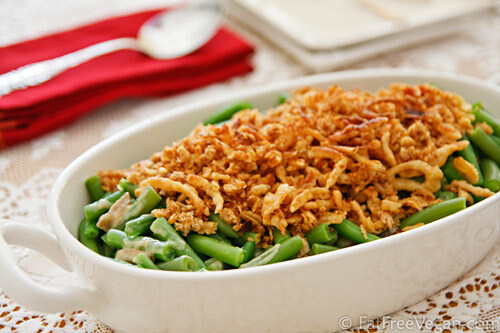 Btw, I made your green bean casserole and sweet potato casserole last year. Excellent recipes. I’ve made the impossble pumpkin pie several times. I have only one vegetarian kid too, and she appreciates all your recipes. Her must-have for Thanksgiving is a ciabatta-chestnut stuffing that she devours. 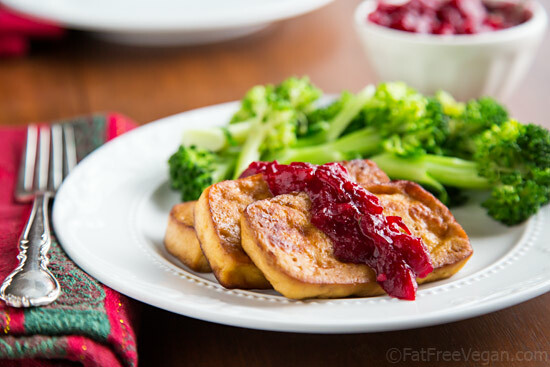 I can’t have seitan, but wow this looks amazing! I wish i could! 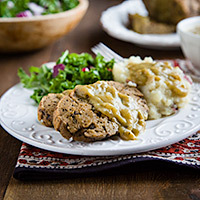 Seitan is such an awesome & versatile food. This recipe makes me hungry!! Susan, can the seitan be frozen and reheated later? Or can the recipe be halved easily? 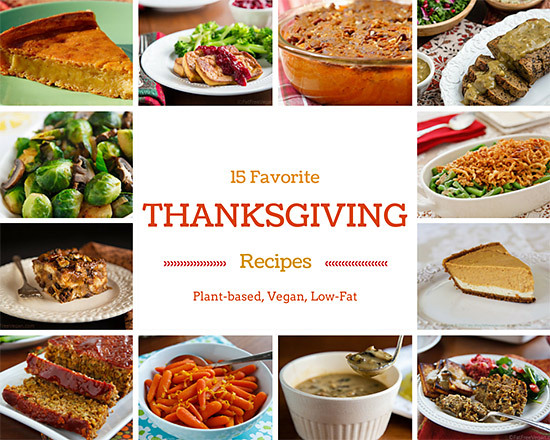 I am going to try this this year – can’t wait – thanks for making our vegan Thanksgiving AWESOME!!!!! This looks delicious like all of your recipes. I have rheumatoid arthritis and while I am vegan my diet has not been low fat. I am following Dr McDougall’s advice to follow a low fat diet and your recipes have been so helpful, thank you Susan. I really, really want to make this but I have family who are allergic to both soy AND coconut. Can I leave the soy sauce out and add more salt, and still have this taste good?? Yes! If nutritional yeast is ok, you can increase it a little to boost the flavor. Using hickory smoked salt will help, too. 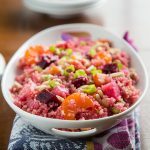 This recipe was a huge hit with my family. I made a double batch of the roast and mushroom gravy – my family ate it all over a few days and then asked me to make more. I couldn’t find hickory smoked salt, but increased the salt and added garlic powder to made up for not being able to use soy. Next time I’ll also add more nutritional yeast. The leftovers are fantastic too, and great in a sandwich. We all found we prefer the roast quite thinly sliced, like slicing a turkey. We also wished we had some cranberry sauce to go with the gravy and mashed pototoes! Thanks for adding the pictures. They really helped! Happy Thanksgiving! Could this be made in a pressure cooker? I once made a plain seitan loaf in a pressure cooker. I haven’t tried it in the pressure cooker, but I’m sure it’s possible. The only thing I worry about is it being wet heat rather than dry and retaining too much moisture. This looks delicious. I wasn’t going to make a vegan main dish this year, but after seeing this, I decided to try it. I bought pre-sliced baby Bella’s, so I can’t count them out. Any idea how much to use? What is the quantity of finely chopped mushrooms after food processing, for comparison? Thanks so. U h for sharing your lovely recipes! It’s one cup of mushrooms after processing. I hope you enjoy it! Tried the Mushroom Seitan roast…. but got something like spongey bread! Never seem to have luck with baking seitan…either comes out like this, or like a rubber ball. Disappointed as it looked great in the pic. The only possible difference in making the recipe was the oats…I didn’t have rolled oats, just had wholegrain quick oats (they are flaked). I seem to do better with seitan that is simmered in broth… I guess I will try frying slices, with gravy to see how that goes. I had to cook mine for 30 minutes longer, but it was worth the wait. One of the best seitan roasts I’ve ever made. I made it for thanksgiving to acclaim; and I made it immediately after, to see if I still liked it. Yes, and even more. very good cold. I would like to half the recipe to try it first since new to seitan. I hope to make for xmas. So by halving the recipe, would I half the cooking and turning times? You can probably reduce the cooking time. I would turn it after 20 minutes and check it again after 20 more to see if it seems done in the middle. I ended up using the times in the original recipe thinking maybe the thickness needed it. (I had not seen your reply..I was excited to make it). Spongyish inside. So tonight I put some slices in a bit of gravy and simmered till heated through…..oh Susan, it was DElicious!! With cranberry sauce on the side. This is my xmas entree this year. Thank you! Have a wonderful and healthy 2015! Sorry, I forgot to add I was thinking of cooking it Christmas Eve day. Heating the slices in gravy. The texture then moist and wonderful. Here’s my feedback if you want it. Smart idea about the parchment…keeps the foil from sticking to the roast. The taste and texture were very good (I did cook it a little longer because I didn’t want it doughy). I strongly suggest slicing it thinly,…in my hurry, I cut big slabs, and they were dense! So take time to cut thin for sure. Also used leftovers for a ‘corned beef’ hash the next day (how fun) and a couple more slices on a salad. When reheating, I poured a few tablespoons of veg broth to soften and infuse flavor back into it. It worked very well. Thanks for this recipe. I fixed a loaf two nights ago and my husband loved it. It’s the first time I have successfully made seitan (no rubbery texture, no gumminess). I trust your recipes above most others–I know that if I follow them they will work with no issues. Hope you will continue to be well and be able to continue the wonderful work you are doing to benefit the health of all who are interested in following a whole foods plant based diet. Looks delicious! Will try out your recipe for my family. Hope they like it. Thank you. What do you make the gravy with? Tastes lovely as a wet mix – but at what point does it start to firm up? I’ve been mixing for an age and its still a soup-like consistency. Would it be have been better ti add the wet ingredients a bit at a time rather than at once as the recipe says? I’ve never had that happen, but I would mix in some more gluten. Is it possible to do a gluten free version of this? What would you recommend substituting in place of the vital wheat gluten? Thanks!!! It looks amazing and I really want to make this for Christmas! Made this for Christmas Eve. I had to cook it an extra twenty minutes or so; the inside was still very doughy until that point. I used a quarter teaspoon of liquid smoke for the wet mix and left in the quarter teaspoon of salt in the dry. Flavor was perfect; not too much salt but very flavorful. It’s not as dense as other seitan I’ve had, which was good actually. It had more of a breadiness to it. I made a mushroom gravy which complimented the texture perfectly, but it would also be good with ketchup, like most meat loaves. The boyfriend loved it. Easiest to make seitan I’ve ever done and probably the best (due to how fool proof it is probably). Oh my word! 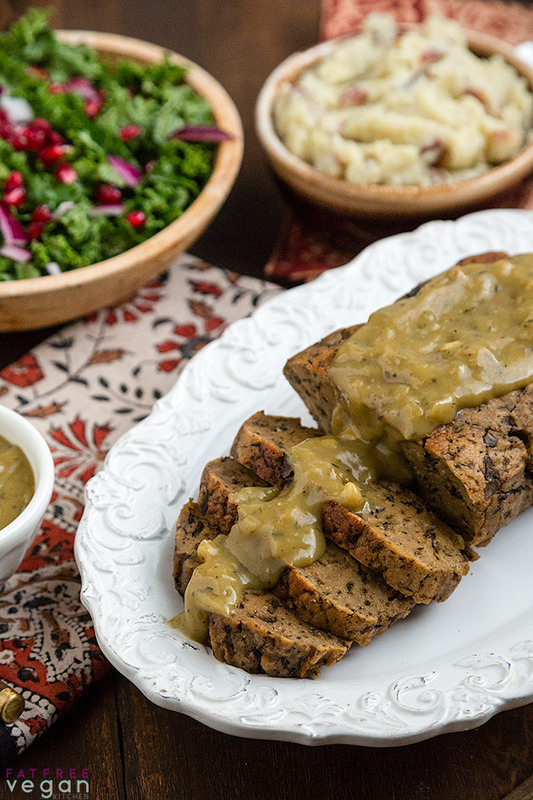 I just made this mushroom seitan roast tonight and it is divine!!! I have a vegan “sausage” recipe that I love, but when I tried the loaf recipe from the same source, it just didn’t impress me. This one, however, is outstanding! It’s by far the tastiest loaf I’ve tried making, and it was very easy to make. I When I took it out of the oven and unwrapped it to check for doneness (it was done in the suggested time), I was pleasantly surprised to see that it had browned on the surface–nice bonus. I will definitely be making this one again and again–in fact, I may never buy a Tofurky roast again. Thank you for sharing this wonderful recipe. Happy holidays to you! For Christmas Dinner yesterday I made your Green Bean Casserole, Southern-Style Cornbread Dressing, Mushroom Gravy and Double-Layer Pumpkin Cheesecake (along with turkey for the carnivores in the family and other dishes). 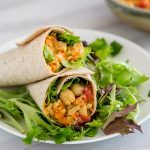 My family really enjoyed all the dishes and were amazed to find out they were vegan and fairly low in fat compared to what they would normallly eat. I will definitely be making those dishes again. Thanks so much for sharing your recipes on this site. 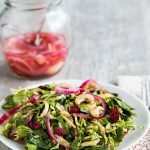 I read your posts regularly and make many of the recipes you share. Hope you are having a wonderful holiday season and wish you good health and happiness in 2015. Thanks for your lovely recipes. I want to ask one question. Are nuts and coconut milk allowed in fat free cooking. I notice Neil Barnard’s books use both in the recipes and they are high in their fat content. Susan, I love your site and I love this loaf – this is the 3rd time I’m making it, but oh boy the ads this time! I know you don’t have control over individual ads, but maybe you’re able to choose to have it toned down a bit so it’s not quite the obstacle course to get to the actual recipe. Of course bloggers deserve their ad revenue, especially you provide such great content like on this site, but I also think there’s a line where it can start dissuading visitors. Just my two cents. I have just discovered your site and it has given me such hope. I have to lose weight, reduce my cholesterol and sugar. I started the day with the tofu scramble and it was delicious. I have just put my mushroom seitan roast in the oven. One of my strategies to reduce my cholesterol is to have no more than 1g of saturated fat per serving. This recipe shows 3 gram of total fat. Where is the fat coming from? Do you know how much saturated fat it contains? What ingredients do I look at for calculating the fat content? Most of the fat is coming from the tahini (1.2g) and wheat gluten (.75g). The rest of the ingredients provide trace amounts. The amount of saturated fat is .27g per serving. Hope you enjoy it! how can I do it using a Seitan fix? Can’t wait to do it! I’m your fan! Renata, do you mean a seitan mix? I haven’t used anything other than the ingredients I listed here, so I don’t know how it would come out using a mix. I hope you can find some vital wheat gluten and give it a try. I wanted to know how to do this recipe with this. Thank you!!! Alright I’m giving this one a go. It should go really well some vegan mushroom gravy and mashed potatoes. I look forward to it – a nice satisfying, and low-fat vegan meal! I just made this today for the first time. I decided around 10 am to have a 6-months-until-Thanksgiving dinner tonight 🙂 I made this loaf, baked four Russet potatoes, and made your mushroom gravy with lots of extra mushrooms, thyme, and marjoram. There were no cranberries to be had, of course, but I had some beautiful organic beetroots I roasted yesterday, so I diced them and squeezed on some fresh orange juice–just the thing as a cranberry sauce stand-in. A salad with orange-tomato dressing, and it was so awesome! My husband loved it, too. We’re waiting for the food to settle a little, and then we’ll have some pear-blueberry crisp out of the oven. Now I will have to have a christmas celebration next month, haha. Can you omit the nut butter? You can leave it out, but that little bit of fat affects the protein in the gluten and makes the seitan more tender. Oh yeah! I just left a comment that I did leave out the nut butter and nutritional yeast, and added tomato paste, but I did add a couple tablespoons of oil. I didn’t know the reason, just found that it does add a lot to the texture. I’m so glad your family liked it! I always reheat it in gravy to keep it moist. Barbecue sauce also works. Makes great sandwiches! Made this for thanksgiving as I needed something heavier for myself in lieu of turkey. I did not have smoked salt, so I followed another commenters suggestion of 1/4 TSP salt and 1/4 TSP liquid smoke, and it worked well. I’ve never made anything like this before, so when I made the dough and it was all weird and gummy I got a little concerned. Was it supposed to be like that, I wondered. I added a small sprinkling more of gluten as it seemed a bit too sloppy. The oats kept coming out of the dough as well. I really thought I messed this up. Big gamble making something I’ve never done before for a family dinner! I packed it up and put it in the oven. I checked on it after the full time, stuck a toothpick in but figured it should be drier, so I out it back in for another 20 mins. It worked! I carved it up, made a can of mushroom gravy and set it out. I was disappointed in the texture, though. Was rubbery. As a vegetarian I’m used to “fake meats” being this way so it didn’t bother me, but I figured the meat eaters wouldn’t care for it much. Should I not have maybe added the extra gluten? The next day after being in the fridge the texture improved immensely and was more meaty. Its funny though, it tastes exactly like fake meat hot dogs… Probably due to my liquid smoke I’m thinking. Now that I’ve made it once I will probably make it again. Maybe try some different flavours. I loved this! I omitted the nut butter and nutritional yeast, added a couple tablespoons of tomato paste and one teaspoon of rosemary to other herbs and spice. Better than Boullion NO beef base for broth. I wish I’d taken your advice on parchment as it did stick to the foil! Definitely will be making this with stuffing and gravy for Thanksgiving dinner! BTW- I thought the blender for nut butter and broth unnecessary. 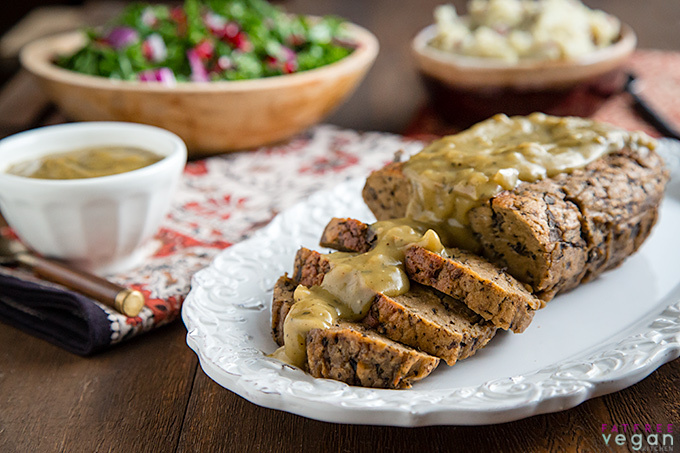 I made this mushroom seitan loaf and loove it! 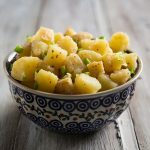 I have a texture-aversion to certain foods that makes some recipes less successful, but this one works for me for both flavor, texture, and nutrition/low-fat-ness. Can I half or quarter this recipe? Halving should work fine. I don’t recommend quartering. I made your Seitan roast and froze it. What would be the best way to reheat it? Thanks. My thanksgiving table is a delicious advertisement for your talents and my family loves it. I owe you so much! Thanks for the kind words, Michèle. You can reheat it any gentle way that preserves moisture: covered in the microwave, in the oven in a covered dish with a couple of tablespoons of water, or sliced and simmered in gravy on the stove. I’ve made your mushroom seitan 3 times now, and it’s become our favorite of all seitans! It’s so forgiving, I’ve somehow mismeasured either dry or wet and had to sprinkle a lot more gluten to get the mix to biscuit dough texture. It was fine. I accidently shut the oven off midway and have no idea how long it baked. It was fine. SO moist and slices thinly with ease. Pair with anything, but for Christmas I made along with vegan scalloped potatoes with took almost as long to bake. Many thanks for this and so many other wonderful recipes!